Recep Tayyip Erdoğan cracks down: Turkey’s prime minister clears Taksim Square in an attempt to end the protests. Is protest-crushing Turkish Prime Minister Erdoğan no longer the world’s most effective dictator? Recep Tayyip Erdoğan warned them there was a limit to his patience. Apparently, for the Turkish prime minister, that was 12 days. Tuesday morning riot police, armored personnel vehicles, and bulldozers stormed Taksim Square, firing tear gas, water cannons, and rubber bullets at the protesters who had occupied the central Istanbul square for more than a week. People fled, many taking cover in nearby Gezi Park, while police tore down the banners, posters, and temporary shelters they had made. 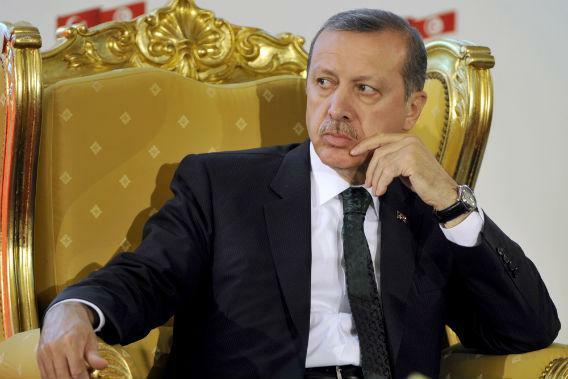 It’s that kind of moxie that makes Erdoğan the equivalent of an authoritarian rock star. Among modern strongmen, Turkey’s prime minister appears to have it all. His authoritarian credentials are solid: Turkey has jailed more journalists than any other country, he runs roughshod over civil society, he wields the country’s libel laws like a bludgeon, and hundreds of regime opponents—professors, politicians, generals, activists, and media moguls—have been arrested in recent years. The part of Erdoğan’s rule that earns the envy of other authoritarian leaders is the democratic façade that he has maintained. No matter how illiberal his rule may be, Erdoğan is also a popular, democratically elected leader who wins by large margins at the ballot box. In a sense, he is like the late Hugo Chávez, but he’s even better since he gets results. Turkey’s per-capita income has tripled in the past decade, exports have boomed, and marquee multinationals such as Microsoft, Coca-Cola, and Pfizer have flocked to Istanbul to set up shop. Erdoğan has plans to build a $10 billion airport that will be the world’s largest. When he came to power in 2002, Erdoğan inherited an economic mess on Europe’s doorstep. Now Turkey is a diplomatic player courted by all sides, and its success has made it a model for other Muslim countries. He is the Lee Kuan Yew of the Bosporus. Erdoğan isn’t moving up the Dictator’s Learning Curve; he’s teaching the class. But if Erdoğan is really on top of his game, he knows that the fault lies entirely with himself. A devout Muslim, Turkey’s prime minister has always said he would uphold and respect the country’s secular laws and institutions. But that feels less true as he tells women they should bear at least three children and his government begins to restrict the sale of alcohol sales and ban its advertising. (The alcohol restrictions were signed into law on Monday.) This interference in people’s daily life, combined with his uncompromising, heavy-handed rule, is what provoked the protests—not terrorists or foreign banks. Erdoğan has simply overreached. Here he’d be wise to look to the example set by the Chinese Communist Party. It realized more than 20 years ago that there was no point getting too bogged down in people’s personal lives. It was too expensive, and at the end of the day, how do you know they aren’t lying? So, they dropped the mass inquires into people’s inner-most secrets and offered a new social compact: Do what you want, make some money, maybe even get rich—just leave the politics to us. As a political strategy it won’t last forever, but it has ushered in the greatest expansion of wealth in the shortest time in history. In the last two years, we have become so accustomed to seeing people rise up against their governments (Tunisia, Egypt, Libya, Syria, Yemen, the list goes on) that we expect them to share the same goal—toppling their government. But that’s not what most of the people in Taksim Square were clamoring for. They are in no hurry to throw out the system. The truth is that as countries go the system in Turkey has worked pretty well. The problem isn’t the system: It’s the man who’s running it. What happens when a democratically-elected leader rules undemocratically? That is what explains what is happening in Turkey today. And if Erdoğan doesn’t check himself, there will be many more days that look like the last 12.